In August I wrote about stewardship and your Board’s passion for building a strong vibrant, and enduring organization that serves the needs of its members. I wrote about our revitalized vision and our new strategic plan dedicated to preserving and continuing all of what makes our chapter one of the strongest in the region. In addition to its stewardship role, your Board is deeply committed to sustainability. Sustainability means, “for the long term,” and everything we do is focused on the long term. Ten years ago the chapter was facing a number of financial challenges which, collectively, compromised the chapter’s ability to serve its members as effectively as it desired. Our sustainability and service levels were at risk. That was then. Today GMA SHRM’s situation could hardly be more transformed. Because of the work of Board members and dozens of hard-working volunteers over the past decade, the chapter has moved from being in the red to being very much in the black. Through good stewardship, thoughtful decision making, careful expenditures, our wonderfully supportive corporate partners, smart (and lucky investments), great and ongoing guidance from our chapter administrator (Heather and Christopher Dyer), and periodic financial distributions to the chapter from WISHRM (because our chapter members routinely lead and coordinate the annual WISHRM State Conference), we are in very good shape financially. In fact, because of the above actions, the chapter has built up a comfortable reserve. And, because we are financially strong and have this reserve, it enables us to not only continue but strengthen our investment in such programs and services as: providing top quality programming events, delivering a world-class Human Capital Conference in May, partnering with local non-profits to expand the positive impact of HR in the community, supporting efforts to facilitate member networking (such as the Solo Practitioners’ Resource Group), providing scholarships to students and members, supporting an active student chapter, promoting HR certification to our members, deploying a new and improved compensation survey, and providing leadership development opportunities for the volunteers who keep our committees and chapter rolling along! As a Board, we don’t want to ever lose the ability to serve our members and the HR profession. So, over the past several years, the Board has taken several critical steps to both maintain our financial strength while reinvesting some of our reserves back into our programs and services. This past fall the Board voted to maintain our cash reserves at a level equal to our annual operating expenses. This will enable us to maintain our quality operations and services for up to a year if there were an unexpected reduction in revenue. We further established it as policy that reserves above this level would be reinvested in the chapter. 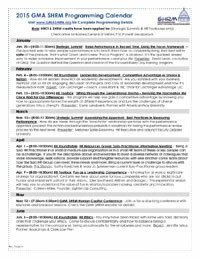 We have significantly increased our financial investment in speakers at the Human Capital Conference and our monthly programming events. This keeps your costs low while enabling us to bring you such world-class speakers as Rebecca Ryan, Jason Lauritsen (Talent Anarchy), humorist Jeff Havens, social media maven Lars Schmidt, Holly Bock (Fierce Conversations), Yvon Wagner (The Oz Principle), and Jac Fitz-enz (HR analytics guru). Stay tuned to learn who next we’ll be bringing to Madison! We have added two new Board positions to help us ensure sustainability – a new Director of Technology and Social Media (to ensure that we stay connected to our members) and a new Director of Volunteer Engagement (to keep our volunteer committees strong and to grow our leadership succession pipeline). While our financial statements are always available to our members upon request, with an eye on our goal of transparency, we are working to make this information even more accessible via our website.I welcome your reactions, thoughts, and ideas for furthering our chapter’s sustainability. We achieved our financial strength and our comfortable cash reserve through hard work and thoughtful decisions. Everything the GMA SHRM Board does today seeks to honor what it took to get us here and it never takes its current situation for granted. And we intend to pass this sensibility on to future Boards. That’s how we define sustainability. And that’s how we will continue to invest your faith (and membership dollars) in us to keep GMA SHRM strong for the long term. HR and talent management leaders have been asked for the ROI or business metrics to demonstrate that the thousands and thousands of dollars that a business spends on leadership development is working. Is your executive still asking? Are you satisfied with your answer? Join us for an engaging discussion on the pros and cons of leadership development in our organization, and the benefits that we can quantify or demonstrate with metrics, dollars or some other meaningful measure. Can we settle the debate once and for all? Bring your metrics and measures with you, or be prepared to argue that much of what we do is smoke and mirrors. 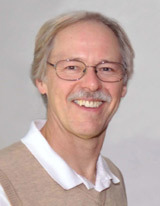 Facilitator: Dan Loichinger – coach, consultant & TEC chair for Loichinger Advantage LLC. Appetizers provided along with a cash bar. Join your SHRM colleagues from around the state at our first WI SHRM Day on the Hill event! The Day on the Hill provides you the unique opportunity to travel to Madison, WI for a day of legislative education and networking with colleagues and legislators. The day will start out with an employment law update presented by Bob Gregg, training on how to conduct an advocacy meeting with a legislator or their staff, and other educational presentation. A networking lunch will be included. WISHRM and SHRM's Government Affairs staff will pre-arrange your afternoon meetings at the capitol. Click here for more information from the WISHRM website. How do we break through the “love/hate” relationship we have with the performance appraisal process? This action-packed workshop presents a roadmap for taking the performance review process to the next level. Participants will review innovative, as well as tried and true strategies for measuring and driving employee performance. All who attend will create a tool to assess their current practices against best practices, and develop a roadmap to take their appraisal to the next level. Our presenter, Meloney Sallie-Dosunmu, is an industry expert with more than 15 years of experience in talent management and employee learning and development. Meloney has a proven ability to drive business results. She has designed, developed, delivered and measured strategic learning and development solutions from needs assessment to measurement in a variety of industries. Throughout her career, she has led impactful and effective talent management initiatives that change behavior and deliver results. She has developed and executed strategy, led virtual teams, managed global projects, delivered effective learning in multiple countries and excelled in matrix environments. Meloney’s dynamic facilitation style showcases her unique ability to deliver complex content in a concise, yet engaging and effective manner, which builds skill and drives behavior change. 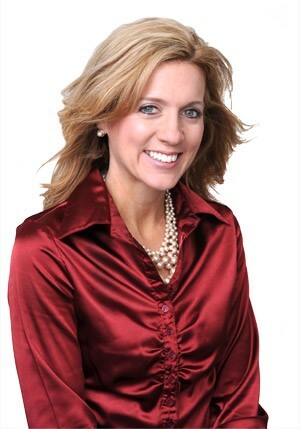 Julie Kuprianczyk has been volunteering with local SHRM chapters since 2005. 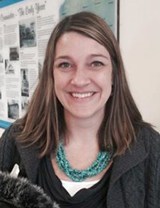 Originally she served on the board of directors for High Country Human Resources Association near Vail, CO. After moving back to the Midwest in 2011, she joined GMASHRM and began volunteering. Julie has served on the Programming Committee, Membership Committee and now will be stepping into the new Director of Volunteer Engagement position on the Board. She is looking forward to getting to know our current volunteers, as well as all of our members! Julie is employed by Agrace Hospicecare as a Sr. Human Resources Generalist. She also enjoys volunteering with the Habitat for Humanity Family Selection Committee. When she’s not working and volunteering, Julie enjoys spending time with her husband and two young children, as well as camping, hiking, skiing, and cooking. After re-entering the workforce 3 years ago and completing my MBA, I am exploring a career in Human Resources. My career accomplishment that makes me the proudest is the completion of my MBA. Don’t be afraid to try something new. You never know the joy it might bring. 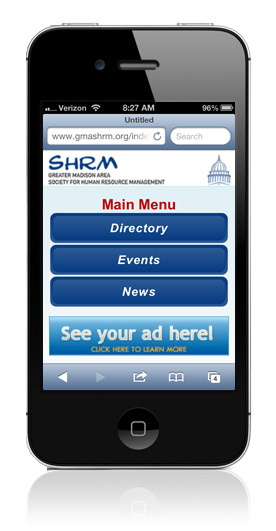 I decided to join GMA SHRM for the networking opportunities and to learn more about the Human Resource profession. ﻿GMA SHRM welcomes the following members who joined our chapter in December 2014! Karen Thompson Quincy Bioscience Holdings Co.